Joe House is a truly masterful lawyer who saved my company's future. His orchestration of the case and his performance in the courtroom were beyond outstanding, and critical to the outcome. I cannot imagine having had better representation, resulting in a settlement far beyond our expectations. The teamwork and collaborative working relationship with Joe, Ben and Carla House had with my wife and I, not only built a terrific, winning case, but a lasting and close friendship as well. Actually, we’re kind of family now. I’ve been retained by Joe in the past so I’ve seen Joe in action. Joe is an ardent champion for his clients. His knowledge of the law is impressive and his zeal to uncover the best legal options for his clients is genuine. Because he cares, Joe becomes their confidante and their friend. Very admirable traits when you need an attorney who will always have your best interests at heart. “House Perron was able to extract blood from a stone as we dealt with a crooked contractor. They knew the nuances of contracts and bonds and got us the maximum settlement possible".  “House Perron & House made us feel very comfortable with the whole litigation process which seemed very overwhelming while running a business and having a family. HPH has detailed but yet simple communication skills, and are very creative with solutions which made us feel very safe and confident during the whole process. They have helped us achieve success on large and small scales throughout the years, while saving the company time and money. It seems litigation is part of running a business, regardless of how great your company is – so we always trust in HPH when the time comes. HPH has earned a client and friend for life.